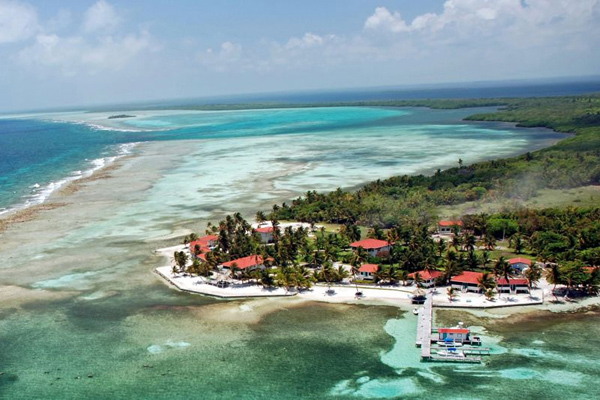 Turneffe Flats has long been recognized as a premier saltwater fly fishing, scuba diving and marine ecotourism destination. 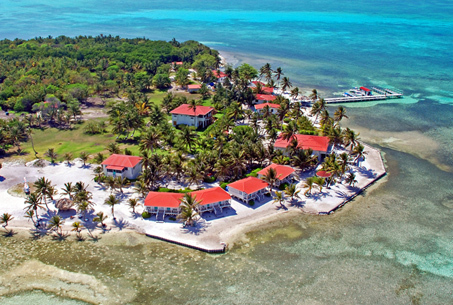 Located on Belize's Turneffe Atoll, the largest and most biologically diverse atoll in the Caribbean, we specialize in superior service for a limited number of guests. Awaken in your air-conditioned beachfront cabin to an incredible tropical seascape of white sand beach, tranquil bonefish flats, lush mangroves and the surf breaking over the reef for miles in either direction. Watch a spectacular sunrise from your verandah and when night falls, the stars look close enough to touch. We are ideally located to enjoy all of Turneffe's 250 square miles of expansive flats, healthy coral reef and remarkably rich marine habitat. The diversity of our saltwater flats fishing sets us apart from other destinations and the opportunity to catch bonefish, permit and tarpon on a given day makes Turneffe Flats one of the rare spots to pursue a "Flats Grand Slam," the landing all three species in a single day. Bonefishing is a mainstay of our fishing, with miles of crystal clear, wadeable flats. 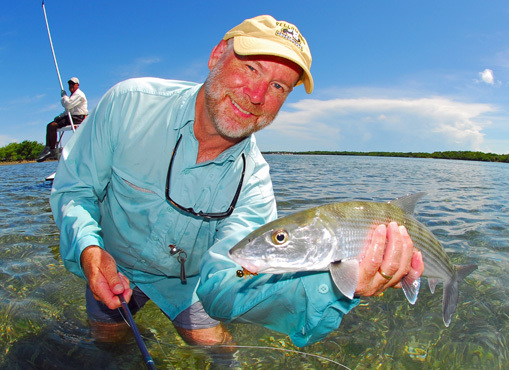 While wading Turneffe's extensive turtle grass flats, you will sight fish to large schools of bonefish as well as smaller groups and singles. Our bonefishing is consistently good throughout the year. For the past decade, increasing numbers of saltwater anglers have developed a serious interest in the elusive permit. 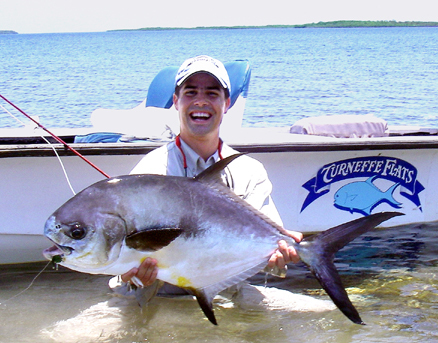 Turneffe Flats is one of a select group of saltwater destinations where you can experience the excitement of flats fishing for tailing permit with a reasonable opportunity to catch one. Our permit fishing is also consistently available throughout the year. Because tarpon are migratory, they are somewhat seasonal. Although some tarpon are around throughout the year, our prime season generally begins in April and continues to mid October. June, July and August are usually the best months for tarpon fishing. Most of our migratory tarpon are in the 70-90 pound range, but we see a few 150-200 pound monsters each year. The interior of the Turneffe Atoll offers miles of mangrove-lined bays, creeks and lagoons to fish for various snappers, jacks and barracuda with poppers or Clouser minnows. This can be some very exciting saltwater fishing with either a fly rod or spinning gear. Partial Week Packages are available with some restrictions. Single Supplement Packages (private fishing boat, guide and room) are available on request.